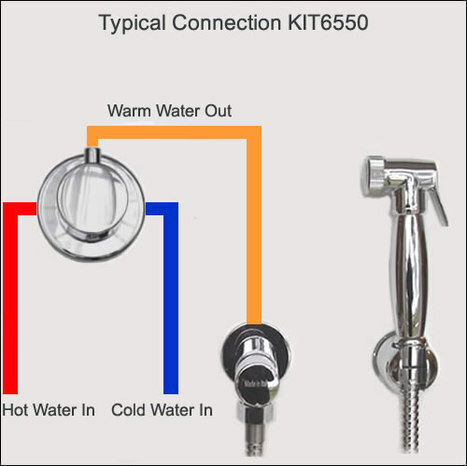 KIT6550: Premium Quality Italian Thermostatically controlled bidet shower kit. Ideal for Hotels & other public locations. 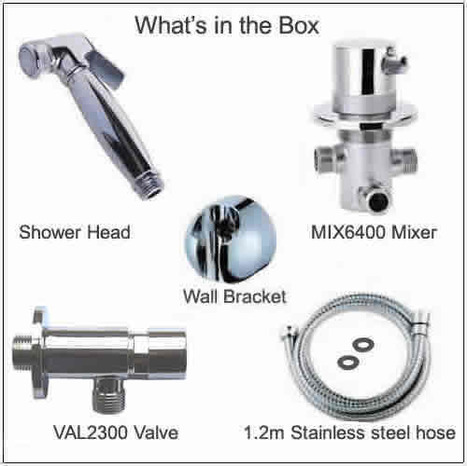 Comprises of the BRA2980 shower, wall bracket and hose, VAL2300 timed non concussive shut off valve and the MIX6400 thermostatic mixer. 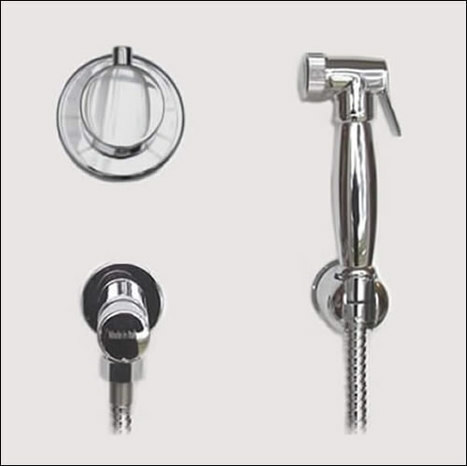 All components supplied in mirror chrome finish. This system is ideally suited to public locations such as Hotels or offices where prevention of accidental or careless flooding needs to be mitigated. 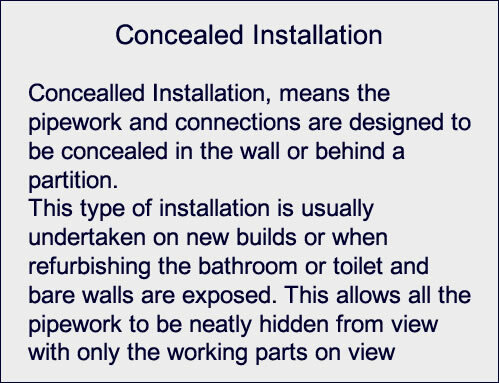 the system incorporates the VAL2300 which requires the button to be manually depressed to provide 20 seconds of water flow before automatically shutting off, effectively safe guarding against accidental leakage or flooding. For first fix installation of the MIX6400 the head can be removed by gently pulling on the cap insert on the head with finger nails, the head can be removed by unscrewing the allen key retaining the head on the splined shaft using a 2.5mm allen key.